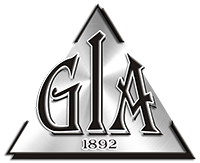 Since our founding, GIA has always believed in playing a positive role in its community. The GIA family, which includes its employees and other volunteers, is at the backbone of its civic efforts. Our employees and volunteers devote time and talent to many different civic causes. This spirit of volunteerism carries on a legacy that comes directly from the heart of GIA. Click on any thumbnail below to view images.